I was going through some pictures taken in Iceland over the weekend. I’m still catching up on processing the many pictures I’ve taken there now. 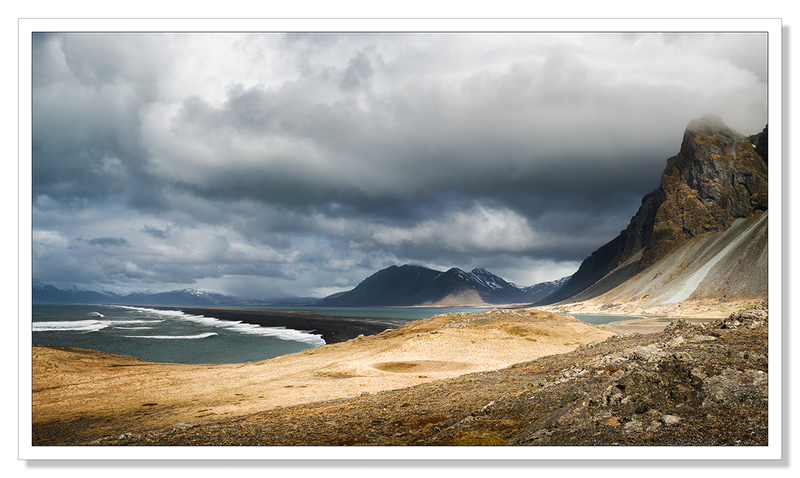 Looking at some pictures taken near Hvaines in East Iceland, I was very much struck by how the character of the scene changed over the course of about an hour. The kind of conditions encountered that day were absolutely my favourite for landscape photography, sunshine and showers. These very dynamic conditions create the opportunities for variety of light, demonstrated in the photographs below. They really highlight why, as landscape photographers, we should wait for the light, waiting is good especially on days like this one. I’d be hard pushed to choose a favourite amongst these pictures which is why I guess, I’ve posted them all as a sort of demonstration. Talking of which, the photographs also demonstrate quite nicely the difference between using an ultra wide angle, wide angle and standard 35mm lens when taking shots of the same scene. My Nikkor 14-24mm really is an exceptional lens. This entry was posted on August 10, 2015 by Chillbrook. It was filed under Photography, Photography and Travel and was tagged with 1x, Adrian Theze, Hvaines, Iceland, Landscape Photography, Light, Nikkor 14-24mm f2.8 Lens, Nikkor 24-70mm f2.8G ED, Nikon D800e, Photography, Sony A7R, Waiting for the Light. Thank you very much Cher! I’m glad you enjoyed them. Sublime. 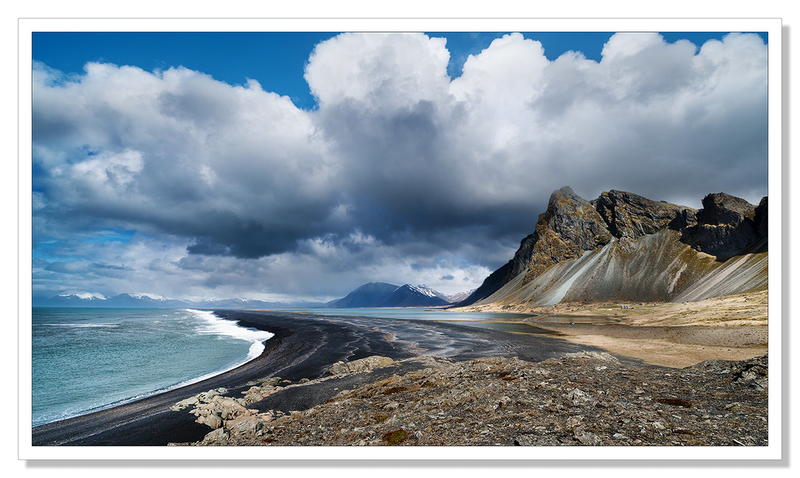 This backs the assertion that Iceland is a destination of choice for the landscape photographer. Thank you very much Mike. 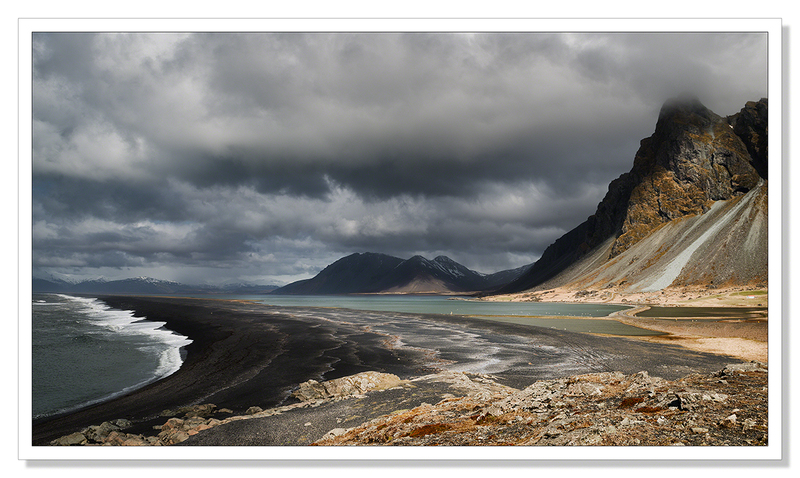 The landscapes and light really do conspire to give landscape photographers plenty to work with. Fascinating series of a fascinating landscape! Thank you very much Bente! 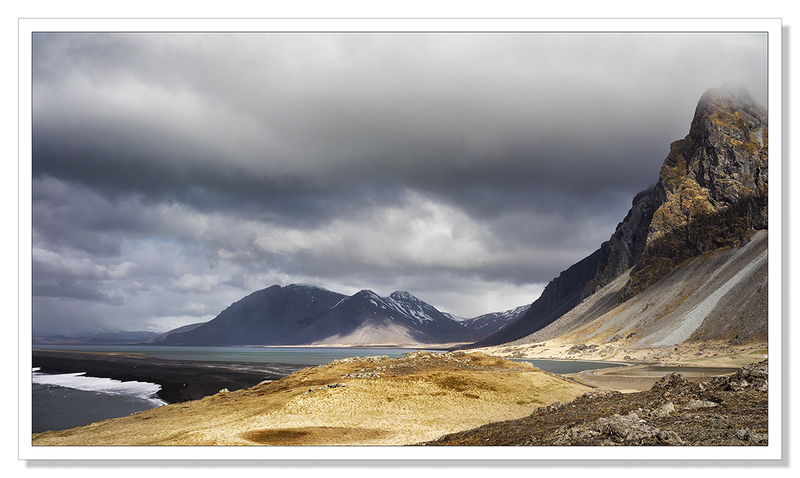 Iceland does have a fascinating landscape and the light is wonderful! Thank you Mark. This was such an expansive landscape and with the weather the way it was, I just had to fine myself a comfortable rock to sit on and with my remote in one hand, I was free to just watch, see, absorb, enjoy, compose, swap a lens here and there, and press the shutter every now and then. A great way to spend an hour or two. Congratulations. Your images are stunning. I just purchased niks 14-24mm ultra wide zoom lens and although I haven’t had a chance to use it properly on landscapes yet, I love it, it really is a fantastic lens. A lovely sequence. It does well to show off the effects of different light as well as giving us some gorgeous scenes to enjoy! Great work! Oh I stopped there as well ! It was very windy but incredibly pretty ! Nice shot ! Thank you Gin. It was a really pleasant on the day I stopped. Really quite warm by Iceland standards but I can imagine, being so exposed, the wind could be really fierce. Gorgeous, Adrian…and all over the space of an hour? Fascinating how that happens…. You have indeed captured some dramatic changes in the landscape. And beautifully so. Congratulations with being exhibited on 1x gallery’s website! Couldn’t agree more. The change of conditions, often the beauty of living near or on the coast such as you do, can be a photographer’s paradise and you have captured it well with this series of photos. While I shoot Canon, I’ve heard such good things of the Nikkor 14-24mm lens (was shooting in Arches National Park last week and this was the lens of choice (or wish) for most Nikon users). Wonderful work Adrian! Thank you Randall. The 14-24mm is an incredible lens. It’s razor sharp and the depth of field is superb, no compromise from a few feet to infinity at 14mm, f/11. Enjoyed viewing these. Great to see the contrast in conditions and focal lengths. Stunning photos, as always! :) And congratulations being on 1x!! I have no words to describe your photos of the landscape, they are all outstanding and self-expressing, each and every one. Each deserving a frame. Now I’m studying them all carefully and trying to learn how to use my Nikkor 14-24. You have the setting at ISO -50, I’ll have to try this as I have never gone below ISO 100. Absolutely gorgeous catches of light, I’m impressed. Du bist ein Schatz, Adrian! :-) This is the most interesting information I have read. I don’t have a tripod with me here in the Alps, but I’m now very eager to try it out and I sure will as soon as I’m home again. Wow Adrian – quite the landscape!! Congrats on your 1x publishing! Congrats on the publication! But ALL the photos in this series are magnificent! Thank you Elena! I enjoyed taking these landscapes very much. The publication was a nice bonus! This is beautiful, now i’m even more desperate to visit Iceland! It is a beattuiful place Lucy! I hope you make it soon! How on earth did you know my name?! Hi Lucy, When you leave a comment on WordPress your email address is displayed. Sorry if my reply alarmed you..
Wow. You’re amazing and so talented. I love all the different colours in each photo. You’re too kind Jane, thank you! Thank you very much Mark and absolutely, I’ll be rooting for Iceland in the next match!